To enhance ones lifestyle with a down to earth approach utilising digital technology and providing simple to use solutions in a friendly and comfortable environment. Large TV (provide and install LED, LCD). Very competitive pricing! Check them out. 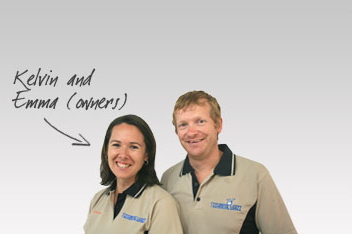 We offer our service to all areas on the Sunshine Coast & Hinterland. Installers have installed TV Antenna, TV Aerial or Satellite systems, in all of the following areas and most likely all places in between as well. Noosa, Tewantin, Sunshine Beach, Peregian, Coolum, Eudlo, Eumundi, Yandina, Buderim, Maroochydore, Caloundra, Chancellor Park, Beerwah, Glasshouse, Montville, Mapleton, Mooloolah, Mooloolaba, Buderim, Maroochydore, Nambour, Palmwoods, Kenilworth, Maleny, Caboolture & Bribie Island. Kelvin Hammond, brought up on a rugged country sheep and cattle farm went to a small country School then made it to the big city. Trained at the Central Institute of Technology in Electronic Engineering. Then gained an apprenticeship with Mitsubishi Electric became an Electronic Service Technician and served as a Senior Technician for many years with them. Servicing such products such as TV’s, VCR’s, DVD’s, Projectors, Audio equipment, Computers, Security products , Police interviewing equipment, And specialised hospital imaging equipment. Also providing national technical support to service agents, and consumers. During this time not only inventing and selling some specialised electronic devices to afar afield as Ireland but also building a 26 tonne 84 square metre TV screen for a stadium (with the help of some other fellow Ozzys, Kiwis and a couple of Japanese of course). Having drive, and dreams just like you, he also has another side to him. A family man married with a primary school aged child, a Commercial chopper Pilot and a perfectionist. The personal touch and attention to detail, patience, cheeky wit, quality workmanship and down to earth nature makes him a big hit with the young and the not so young. Turning his focus to future technology’s such as Voice over internet and digital television spent almost 2 years chucked in the deep end of a highly regarded Antenna and Satellite business on the Sunshine Coast. Learning all the ins and outs of installing Antenna’s, satellites and other consumer products. At the turn of his 30th birthday the thirst for another challenge arose and began this business from an office, a garage and a shoe string budget. Emma Hammond A founding member of the team has the job keeping the boys in line and to schedule. A professional business can not be run without a person of this caliber keeping it all together she keeps Technical Whizz at the forefront in our competitive market booking clients. and running our near paperless office. If she is not in our office can be seen out volunteering for Shine Community Care. James K Knows much about all things from how to make a great Coffee to how to get the best out of your WiFi and digital TV. Has years of experience on improving mobile phone reception in homes and offices, extending WiFi in multi level dwellings. Ben Hammond Our Y Gen part of the team an all rounder can be found in the office contacting clients creating marketing material reviewing statistics keeping us at the forefront of technology or out in the field. Ben is our fastest Technician at aligning Satellite dishes. Reese Hammond Our youngest team player in our family owned business, still at school is our chief antenna assembler and overseer, has been trained on how to manually tune most brands of televisions and during School holidays is out with Dad tuning TV’s and set top boxes in. Competent at booking clients in on our near paperless system. She can be seen as our front person in much of our advertising material, although shy is a real crowd pleaser to the young and old and very eager to get on the payroll.